Appropriately named, the Sheffield Dining Collection from Woodard carries the style and grace of an old English city. 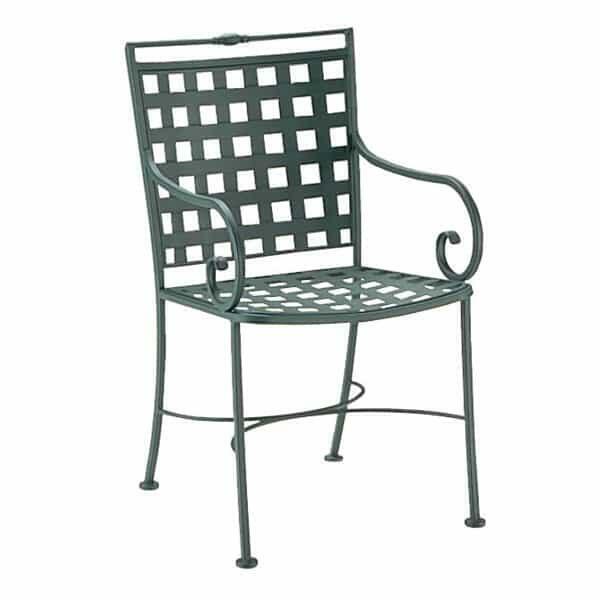 The pieces in this set showcase handcrafted wrought iron worked into beautiful scrolls in the armrests and stretchers, along with intricate cross-straps in the seats and backrests. 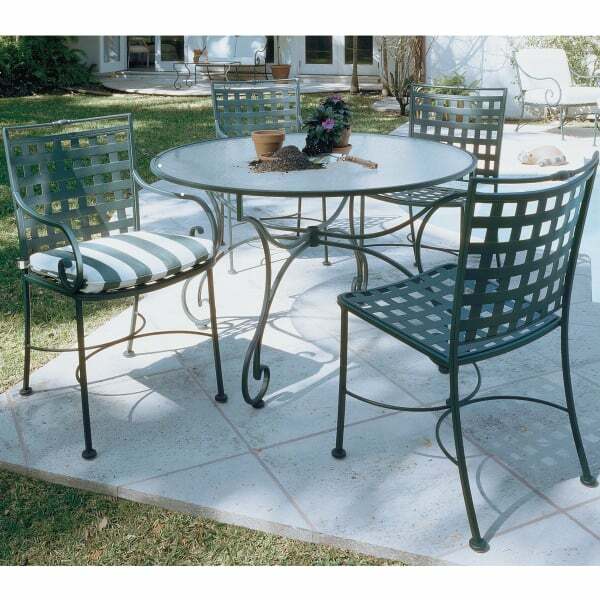 After Woodard craftsmen form the pieces, each table and chair completes Woodard's MetalGuard finishing process, which includes a coating of zinc phosphate that is then sealed to ensure durability, a strong resistance to rust and a long patio life. For more than 100 years Woodard has provided garden furniture that combines the very best production techniques and materials with traditional forms and designs; you can rely on them to create an outdoor space that offers a classic experience. 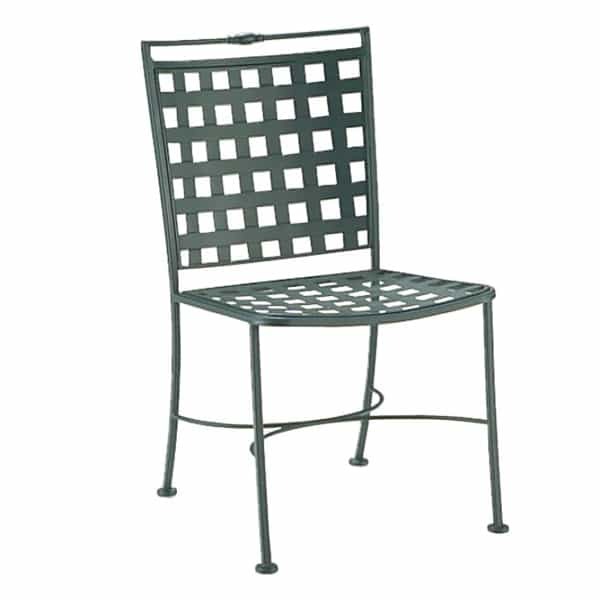 W 21.8" x D 25.5" x H 38.3" LBS 27 SEAT HEIGHT 18"
W 20.5" x D 25.5" x H 38.3" LBS 15 SEAT HEIGHT 18"
W 21.5" x D 26.5" x H 34.8" LBS 32 SEAT HEIGHT 17.4"